Mr. Hally Haynes is widely known for his people oriented focus to personal and professional development at all levels of society. He has over twenty-nine (29) years experience in law enforcement, youth work and management. Paying attention to the social and economic issues that confront the nation, Mr. Hally Haynes is an active member of the Credit Union Movement and has over twenty-five (25) years experience as a Director of the Barbados Police Co-operative Credit Union Limited. He served at the National Level for some ten (10) years and is a founding Director of Co-operators General Insurance Company. Mr. Haynes is currently the Treasurer of the Barbados Police Co-operative Credit Union Limited and is the President of the Barbados Co-operative and Credit Union League Limited. He is now serving in his second year as President having been re-elected to the Board of Directors of the Barbados Co-operative and Credit Union League Limited in October 2011. 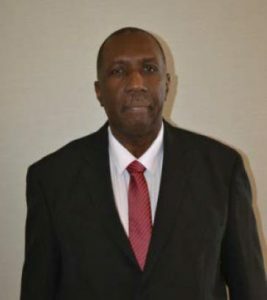 He has represented the Barbados Police Co-operative Credit Union Limited and the Barbados Co-operative and Credit Union League Limited at several local, regional and international credit union meetings. He has also written several articles on the credit union movement in Barbados and he is firmly of the view that the credit union movement is a critical enabler to the economic enfranchisement of ordinary Barbadians. He is a former member of the Royal Barbados Police Force having served this noble institution from July 1982 until 1995 when he was seconded to head the Youth Development Programme, of the then Ministry of Education, Youth and Culture. His last appointment in the Royal Barbados Police Force was that of Court Prosecutor which he held from 1988 until 1995. In 1996 he was appointed Director of the Barbados Youth Service which is a multi-disciplinary programme that provides a dynamic learning environment aimed at encouraging positive change within the youth of Barbados. Mr. Haynes has been credited in facilitating institutional reform within this programme during the period 1996-2007. In 2004 Mr. Haynes established a management consultancy company namely Total Management Solutions and Real Estate Development Inc and has provided management consultancy services to a number of small and medium size businesses in the area of business, financial planning and development. He is the management consultant and project manager for the Barbados Union of Teachers 44M residential and commercial project at Hothersal Turning, St. Michael. He is also the Project Manager for the Barbados Football Association new Headquarters and international artificial turf playing field. Mr. Haynes holds professional and academic qualifications in the area of law enforcement, management and youth work. He holds a Masters degree in Business Administration and a Diploma in Human Resource Management from the University of the West Indies. He also holds a Diploma in Youth and Development Studies. He is a graduate of the University of West Indies Social Policy, Formation and Management Course. He is currently pursuing the Doctorate in Business Administration at the University of the West Indies, Cave Hill Campus.